With Apple’s rapid-fire spate of spring hardware releases now seemingly over, and Apple’s long-awaited AirPower officially dead, we’re still left with one nagging question: Where’s the new iPod touch? 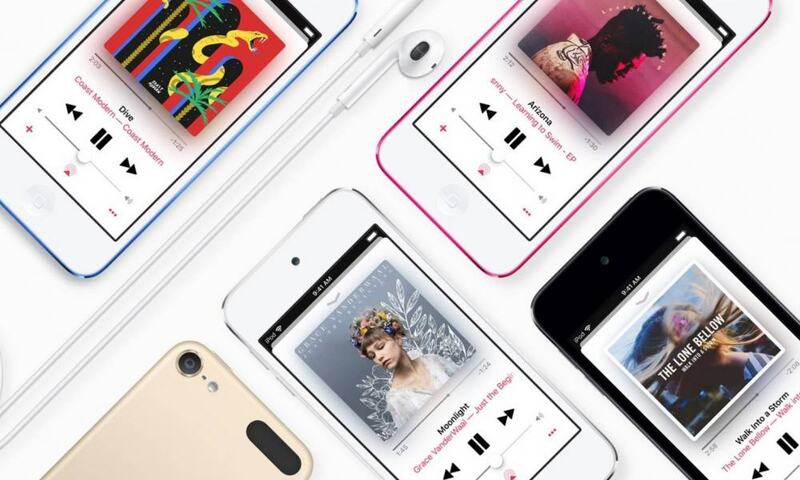 Although it hasn’t seen an update since early 2015, the iPod touch still remains a noteworthy part of Apple’s product lineup, and the last standing device in the venerable iPod family, following the demise of the iPod nano and iPod shuffle in 2017. 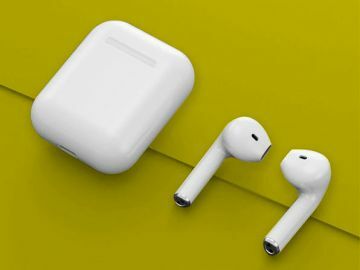 While some had written the device off, recent rumours suggested that we could see a seventh-generation version of the device appear in March, alongside Apple’s new iPads and AirPods. Of course, that hasn’t happened, leaving many wondering if the rumours were true at all, or whether the new iPod is still waiting in the wings for a release later this year. Many predicted that the iPod touch would see the end of its life even before Apple’s other iPods bit the dust; until 2010, the device was updated annually, with the first four generations of iPod touch coming out alongside Apple’s annual iPhone releases, offering an alternative iOS device for those who couldn’t or wouldn’t spring for the full iPhone experience. 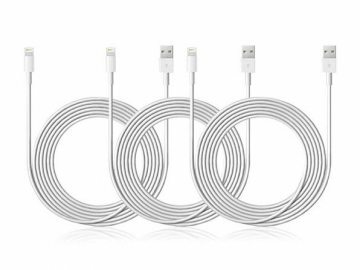 However, when Apple skipped a year in 2011, many started wondering even then if Apple was already preparing to abandon it in favour of pushing users over to the iPhone, but those fears were put to rest when a fifth-generation model came out in 2012 with the new Lightning connector and a four-inch screen to match Apple’s new iPhone 5. However, almost three more years would pass after that before the iPod touch saw another update — a sixth-generation version released in 2015 retained mostly the same physical design while bumping processor and camera specs to roughly match Apple’s fourth-generation iPad mini and then-year-old iPhone 6. However, unlike prior iPod touch models, it maintained the same four-inch screen rather than matching the corresponding iPhone models of that time. Even at that point, the iPod touch was already starting to become something of an anachronism to many people — a relic from an era when people still carried “feature phones.” However, the timing of the launch of the sixth-generation iPod touch — only two weeks after the launch of Apple Music — made it pretty obvious that Apple’s strategy for updating the device was to ensure that its new streaming music service would be accessible even to those who couldn’t afford an iPhone. Still, as more than three years passed without an update, many felt that the days of the iPod touch would soon come to an end. Granted, Apple continued to sell the 2015 iPod touch in its stores, but the company had done the same previously for the iPod classic, which remained on sale for five years after its last minor update, so it stood to reason that the iPod touch could very well suffer the same fate. However, the fourth-generation iPad mini had also fallen into that same rut; last updated in 2015, the same year as the iPod touch, many had assumed it was the end of the line for that device as Apple shifted most of its focus to its more expensive and feature-rich iPad Pro lineup. However, last fall rumours of an impending fifth-generation iPad mini began to surface, and earlier this year reports came out that the iPad mini update would be joined by a revamp of the iPod touch. Original reports of the seventh-generation iPod touch from Apple’s supply chain sources provided little insight into what the new design might look like, leading some to hope that Apple would create a flashy new model that would feature Face ID and an iPhone X style display. While these hopes seemed somewhat far-fetched in the first place — after all, the iPod touch is intended to be a low-cost, entry-level device — code later found in iOS 12.2 revealed that Apple quite likely wasn’t even planning to incorporate Touch ID, much less Face ID. Similar in-code discoveries pertaining Apple’s new iPad mini 5 and 10.5-inch iPad Air proved accurate after Apple actually released its new iPad models at the end of March. However, even though we know that the iPod touch isn’t likely to even get Touch ID, little other information is known about the device’s physical design. We know that at least at some point during the iOS 12.2 beta cycle there was already code present to support the new model, which made the strongest case for an imminent release, but there have been few other rumours of the new iPod touch beyond the mere claims of its existence somewhere in Apple’s supply chain. It’s a safe bet that it will get a bump to a more recent A-series processor; perhaps not all the way to the current A12, but most likely at least to the A11. It’s also likely we’ll see at least some camera improvements, but it’s uncertain whether Apple is preparing to bring it into the same size class as its iPhone lineup. 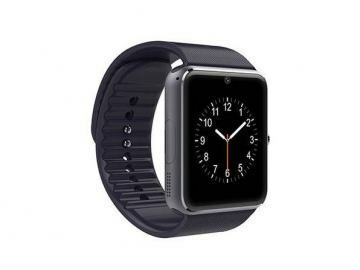 Despite many iPhone users being perplexed by the continued existence of the iPod touch, we’ve always believed that there’s a place for it in Apple’s device lineup; it’s a gateway into the iOS ecosystem for those who cannot or will not use an iPhone. Young children and preteens are an especially important example, but there are also users on tighter budgets, elderly parents and grandparents, and those who are forced to use non-iOS smartphones by their employers. However, as the sixth-generation iPod touch demonstrated in 2015 for Apple Music, it’s also a very important gateway into Apple’s services ecosystem, and we all know how much more important that’s becoming to the company as it moves into the post-iPhone era. So important, in fact, that Apple has been willing to leave its legendary “walled garden” behind and embrace otherwise-competing hardware platforms just to ensure that it can attract as many ears and eyes as possible to its streaming music and video services. Plus, in addition to Apple TV+, there’s the release of Apple Arcade looming on the horizon for this fall. Both of these services make a strong case that Apple will not only release an updated iPod touch, but may in fact bring certain key specs more in line with current iPhone models. For example, incorporating the most current A-series processor available would be very important to make it a gaming device for Apple Arcade subscribers — something that the iPod touch is ideally suited for — as would a larger display, which would also allow it to better serve as a portable screen for Apple TV+ subscribers. So it stands to reason that Apple is also highly motivated to deliver an inexpensive, pocketable device of its own that can be used to access its entire slate of new services, and with Apple Arcade and Apple TV+ both expected to launch to customers this fall, it’s easy to see how a new gaming-focused iPod touch could be released alongside Apple Arcade to draw even more subscribers into the service, especially since it’s the one service Apple can’t realistically expand beyond its own hardware ecosystem, so if it wants more customers for Apple Arcade, it’s going to be up to Apple to make it as accessible on as many of its own hardware devices as possible.